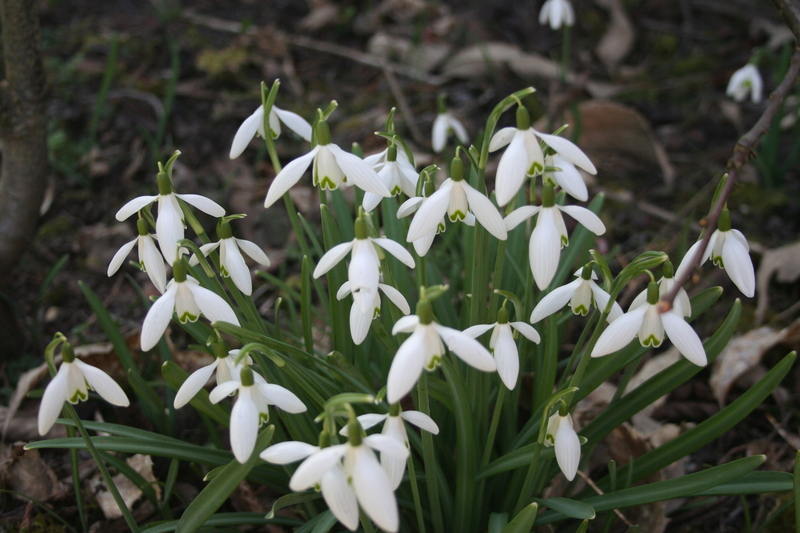 These are cheering up an area of Iris germanica which are barely showing a sign of life. It’s a gorgeous sunny day here in the Loire Valley, with temperatures up to 19°C at the (south facing) back of the house and 10°C in the shade at the front, after a frosty start. Hundreds of Canada Geese are flying up the river to find an attractive feeding spot for the evening, huge, noisy V-formations passing overhead every half hour or so. 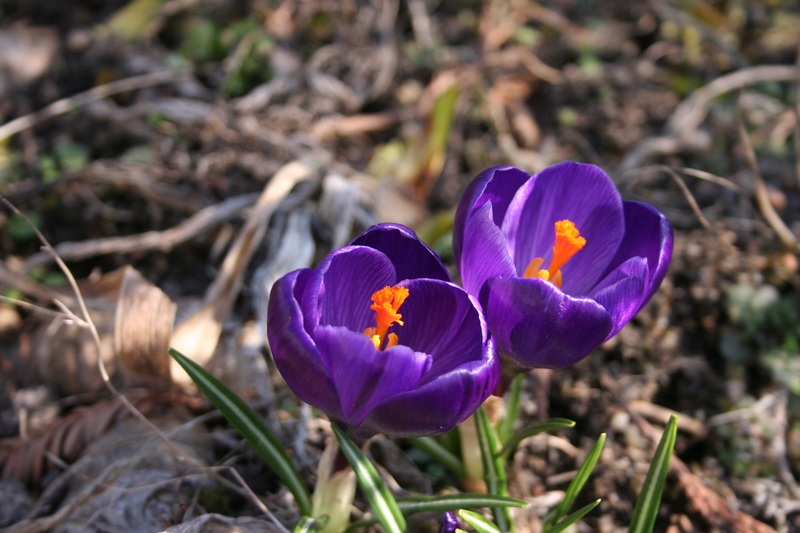 Buds are swelling and the first few spring-flowering plants are making an appearance – we have Crocus flowers to admire today, adding their weight to the Witch Hazel, the Hellebores and other brave souls which have heralded this current spring awakening. This morning I was chatting to the local Pear expert, out in the orchard attending to the pruning of his collection, the largest in Europe in spite of reducing the numbers last year; tomorrow I am taking a group of American tourists to see the vineyards, where the pruning is mostly finished but the tying-in has still to be done. We will be visiting (and tasting) a number of Loire Valley appellations in our day trip: Touraine Mesland, where we have an appointment with a bio-dynamic grower, my favourite Vouvray producer, the wine co-op at Montlouis-sur-Loire, the new appellation of Touraine-Chenonceau and the Touraine itself. It should be a very entertaining series of visits. 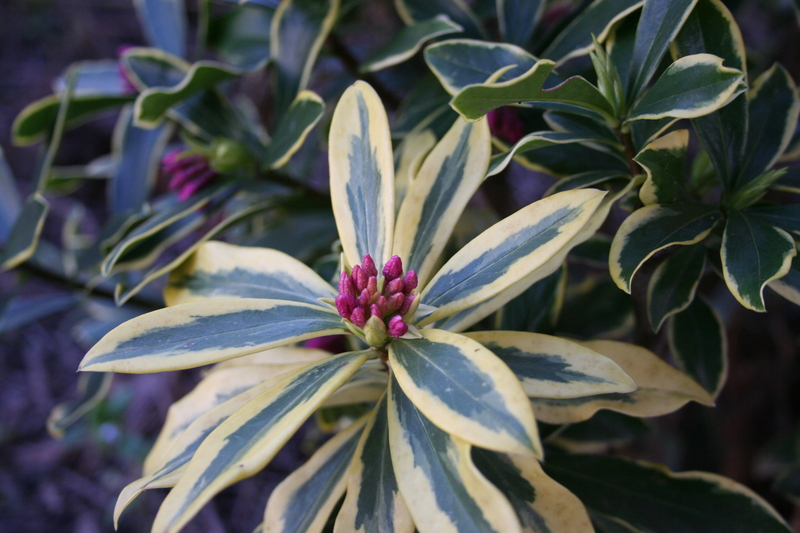 An interesting colour break on our Daphne odora. I will try to put some roots on it later and see if we can produce a new variety. Here in the garden I am about to sow the new lawn having cultivated the soil again on Saturday (I have the blisters to prove it!). There is so much to do to prepare the garden for the new season and as always there is a hold up in the propagation of bedding and vegetables as seedlings take their time to grow to a size where I am happy to remove them from the propagator. I’m trying not to panic. We have added to the complications this year by advertising our apartment to the holiday-seeking world, and as guests expect access to the swimming pool all the corners where I usually throw the junk have to be urgently tidied. There is a door to put on the garden shed, a gate to erect to secure the pool and huge amounts of useful materials to move to new homes (tell me where!) so that in a few years they can be moved again, dumped or burned.